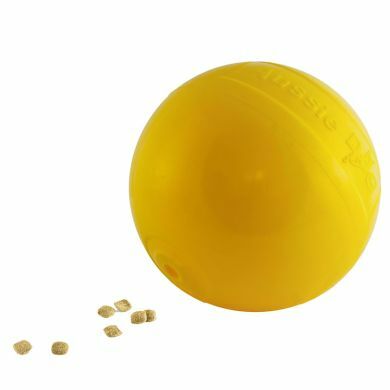 Roll the Tucker Ball about and it randomly releases treats or kibble to keep your dog enticed and entertained. 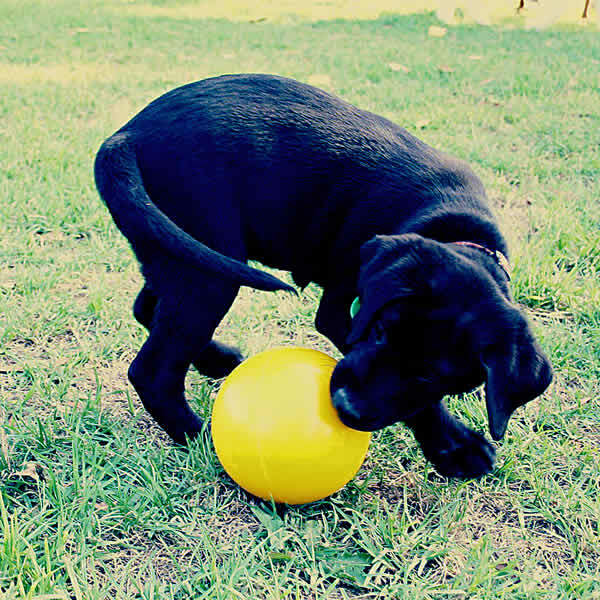 An internal restricting device stops the easy flow of food from the ball and increases the challenge and duration of play. Even when the food is gone the ball continues to excite your dog with the rattling noise associated with food release. The Aussie Dog Tucker Ball comes in 3 sizes based on your dog's weight. When you buy this ball you’ve got a 6 month warranty that says no harm will come to this ball in the paws of your cunning canine. 100% Safe and Non Toxic! Super safe both in shape, design & non-toxic materials.